Sign up to tutor with STAIR and make a difference. There is a child in this area who needs you. STAIR Tutors develop a one-on-one relationship with a student, which is what makes this volunteer experience so rewarding! The user-friendly curriculum makes it easy for volunteers to follow with no outside prep time. Attend a 2.5 hour training class. Tutor a student after school one or two days a week or Saturday morning. Training classes are offered at locations around the greater New Orleans area. No experience is necessary.  STAIR has tutoring sites in Orleans, Jefferson, and St. Tammany Parishes. To register for a training class, please see current training dates/times/locations below and complete the registration form. Prospective tutors may attend any available training class and will receive information regarding tutoring opportunities at all tutoring sites in the three parishes. Please call our office at 504-899-0820 if you are interested in other volunteer opportunities. **NOTE: Due to the lateness in the school year, tutor trainings will be scheduled on an as-needed basis. Please complete the form and submit. You will be contacted by this office for further information. Thank you!